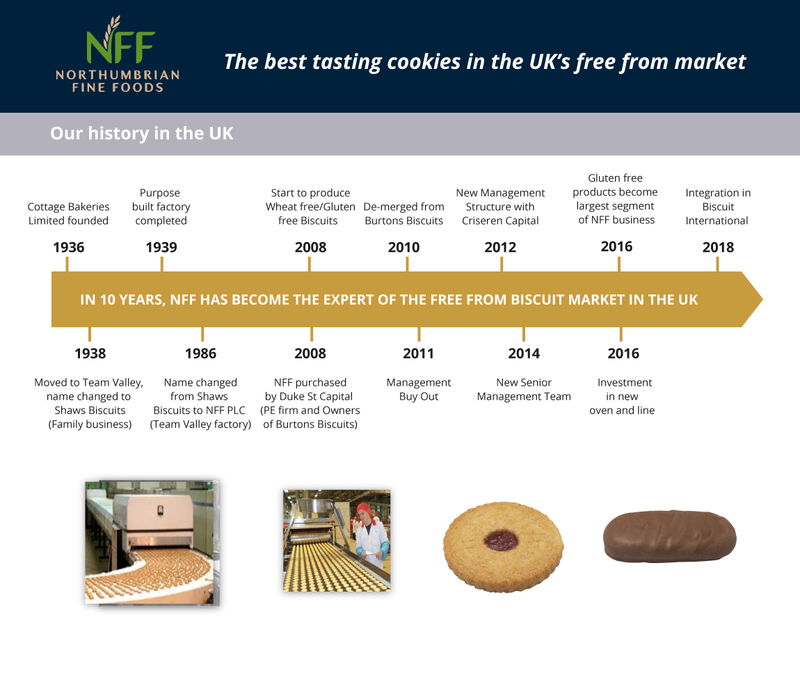 Biscuit International is the leading European manufacturer of private label sweet biscuits, with a wide range of products with a European or local presence – traditional biscuits, nutrition (organic, gluten-free, no added sugars, no palm oil, lactose free…), waffles, etc. 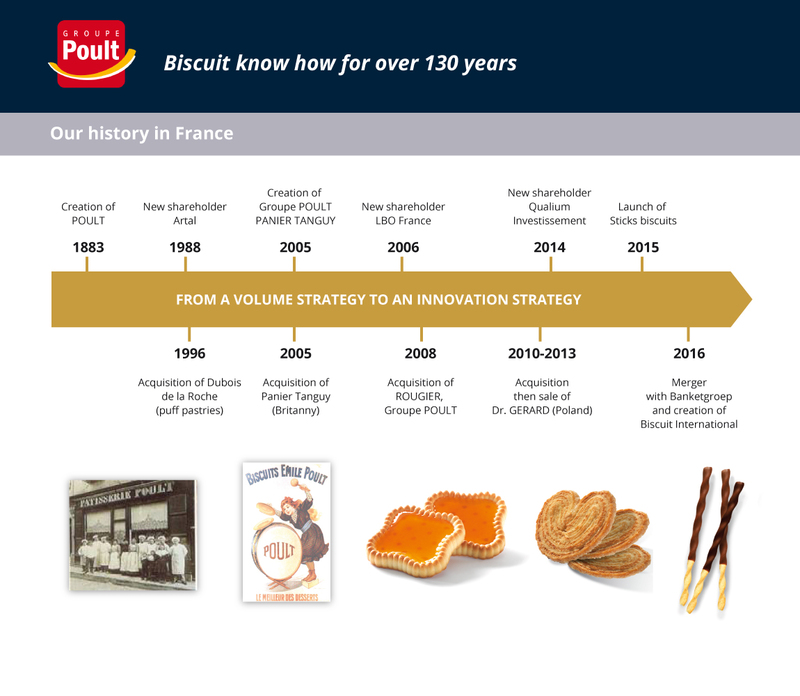 – Here at Biscuit International, product innovation is at the heart of what we do. 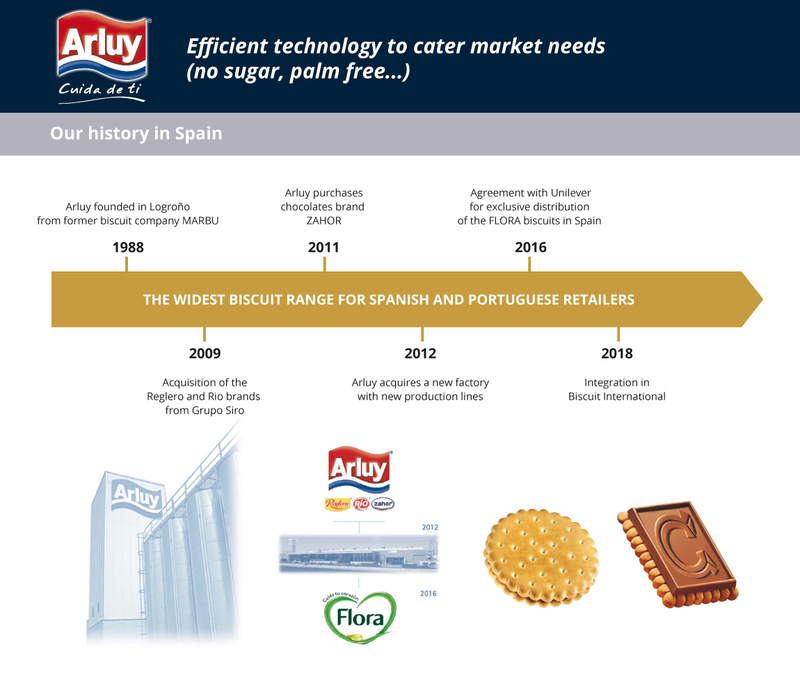 Our people are always striving ahead so that our products meet the needs and wants of our customers. 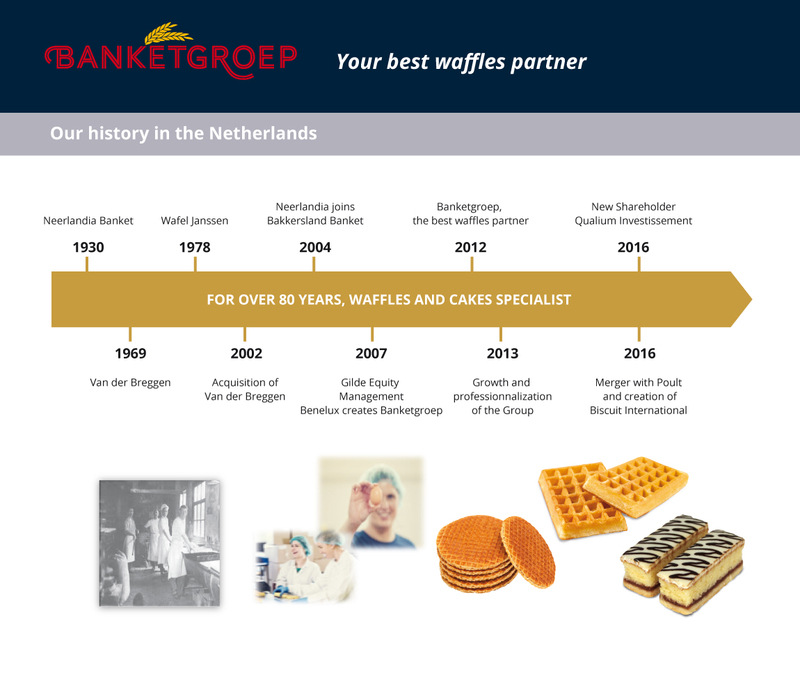 Biscuit International was created in 2016 as a result of the combination between Poult (the French leader) and Banketgroep (Netherlands). 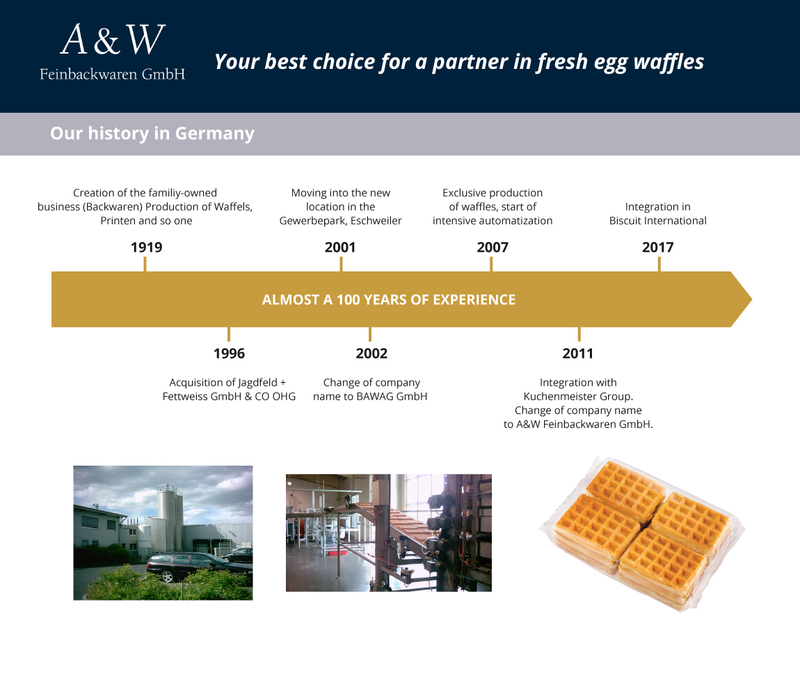 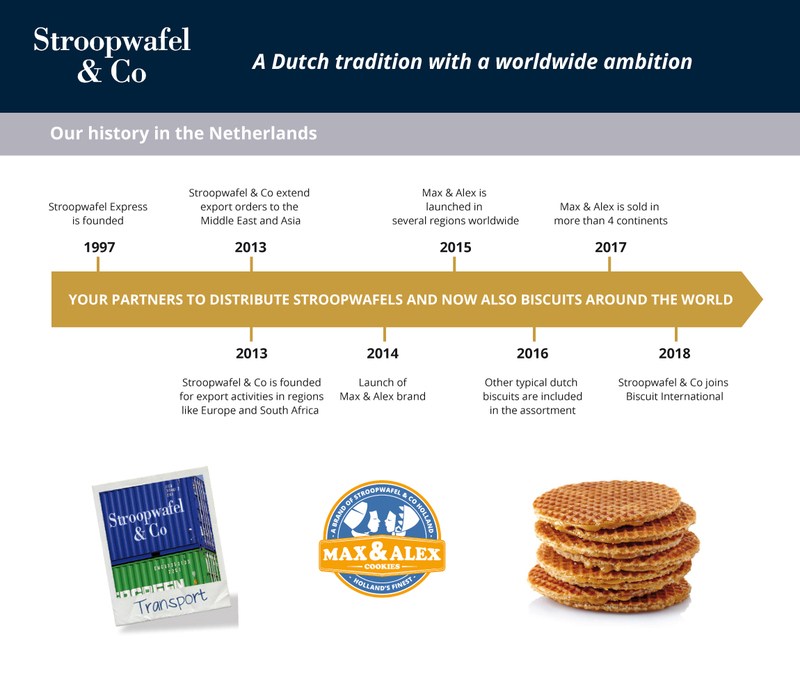 As the industry’s leading consolidation platform in Europe, the group acquired in 2018: A&W (Germany), Stroopwafel & Co (Netherlands), Northumbrian Fine Foods (United Kingdom), and Arluy (Spain), to become the European Leader in the Private Label sweet biscuits market. 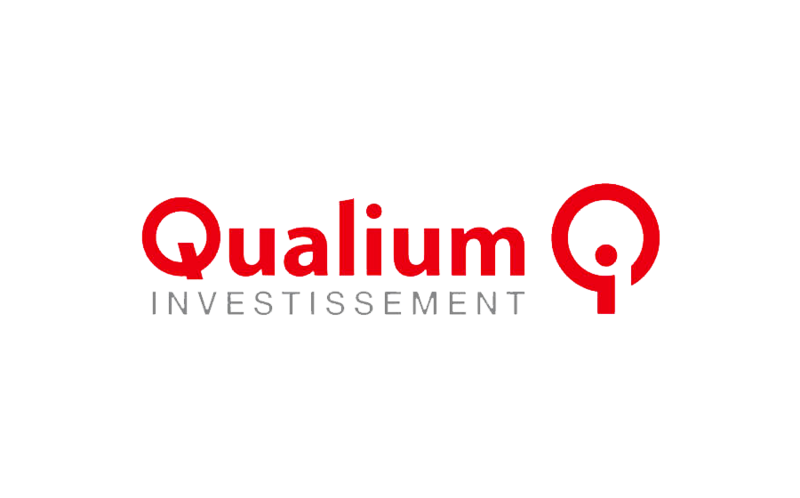 BI is owned by Qualium.